This year Brooks brought back the classic outer-tread of earlier Cascadias... they changed it on the 6s. I was happy to see this. They also changed the center tread to a cleat style. That combo has created a very sticky feel on trails whether they are muddy or rocky. The 6s were great but not as great as the 4s and the 7s are a HUGE step up. Brooks seriously raised the bar this year. They also come equipped with a curved lacing system and meshy yet durable fabric that wraps your foot which yields a feeling of agility. Brooks kept their "pivot" point system which for turning on a dime at high speeds. And one of the best things about them, they still dry quickly after crossing a stream or stepping in a puddle. I have thrown down some epic runs over the past few weeks in these guys and like I did on the 4s, I am already thinking about stock piling a couple pairs of these guys. 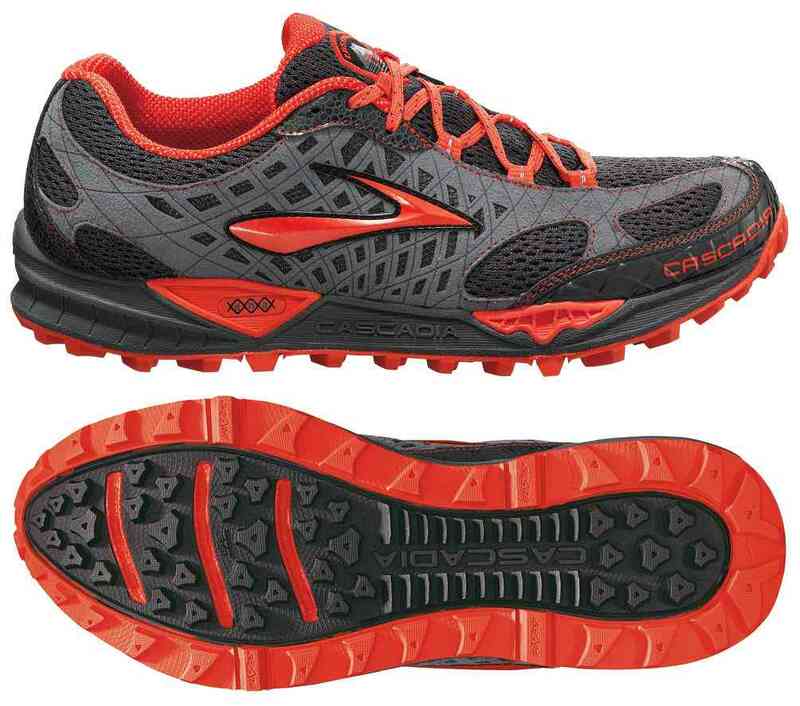 Check 'em out and scoop a pair from BROOKS. or Support the Blog and use the link below!